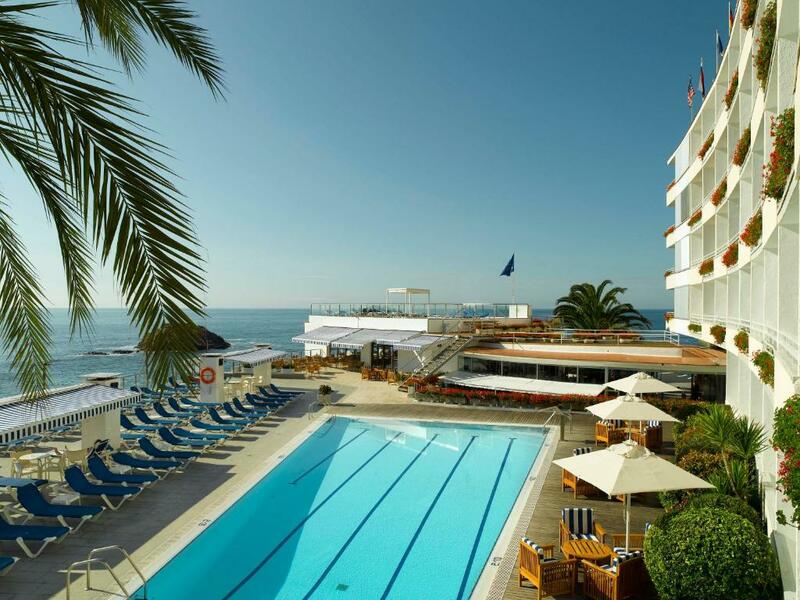 Lock in a great price for Gran Hotel Reymar & Spa Superior – rated 8.8 by recent guests! 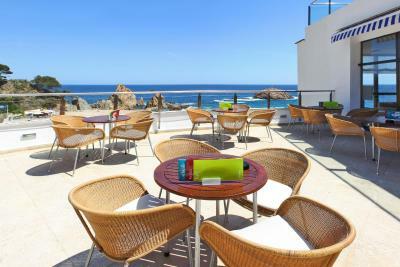 The location of this property is outstanding, steps from the beach, town and the ruins. The pool had an excellent view. The location is good as it is literally next to the beach. It is also nearby the castle site so we walked during the evening. 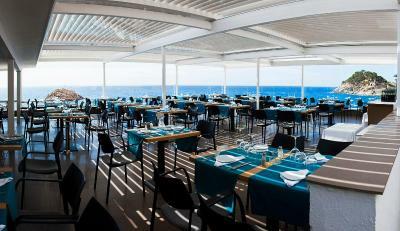 Nice facility with great view, fantastic breakfast and friendly staffs. It has nice pool and towel service. Easy to visit local restaurants and old town. Location,staff, food and swimming area were outstanding. 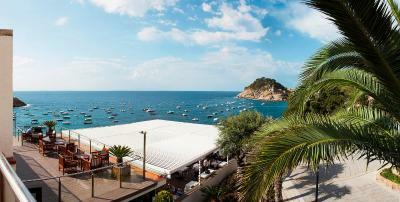 Tossa is lovely! 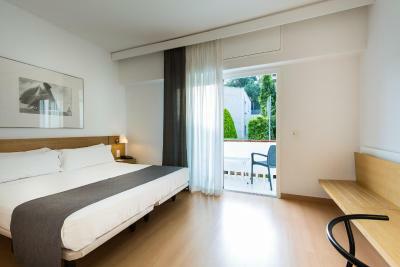 Clean room and comfortable bed and pillows, nice view, good breakfast (included), friendly staff and close to the town center. Parking was 15€ extra per night. 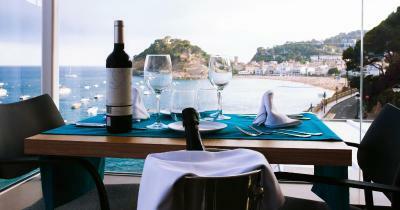 Amazing location,the staff very helpful and nice.We will be back for sure next summer.Thank you Gran Hotel Reymar ! Third time for me in this hotel. Lovely room with a view over the beach and sea. Swam every day in th eclean blue pool. Had breakfast there only as we wanted to experience the many restaurants around Tosha. We are planning to come back again in 2019. Lovely professional staff and a big thanks to the bar and housekeeping staff. Would highly recommend. Also had relaxing massage in spa plus spa facilities great. Although hotel busy, it was quite. 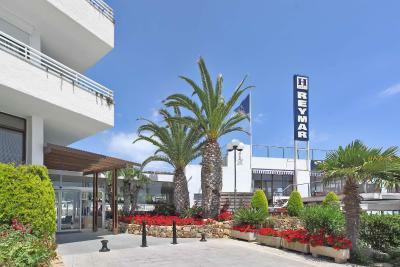 Gran Hotel Reymar & Spa Superior This rating is a reflection of how the property compares to the industry standard when it comes to price, facilities and services available. It's based on a self-evaluation by the property. Use this rating to help choose your stay! 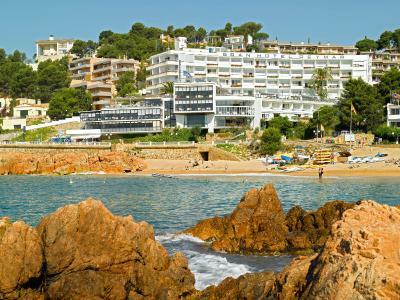 One of our top picks in Tossa de Mar.This seafront hotel offers direct access to Playa de la Mar Menuda Beach. 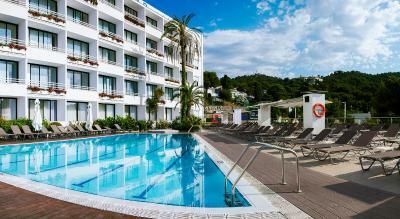 It features an outdoor pool and hot tub, spa, tennis courts and has panoramic views of Tossa de Mar and its castle. 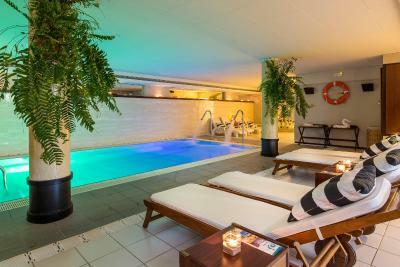 The hotel's spa includes a spa bath, hydrotherapy, Turkish and Finnish saunas, as well as a wide range of massages and treatments. Access to the spa is available for a supplement. 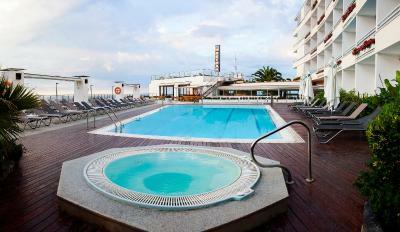 The air-conditioned rooms at Gran Hotel Reymar feature a balcony and private bathroom. Each one comes with a flat-screen satellite TV, mini-bar and free WiFi. Safe is available with a surcharge. 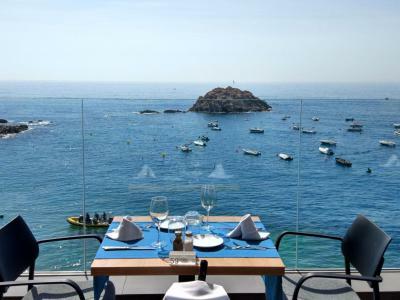 Gran Hotel Reymar also offers 3-bedroom villas with a living area, dining area, fully equipped kitchen and a terrace with sea views. 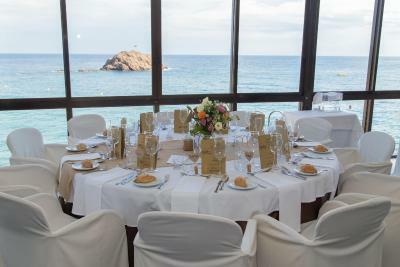 The hotel’s romantic Illa restaurant serves à la carte Mediterranean and international food and offers great sea views, both from the inside the restaurant and on the terrace. Previous reservation is required. A buffet breakfast is offered, as well as cooking shows. Reymar’s beachside and poolside bars serve refreshing cocktails, and the hotel also has a ping-pong table and basketball court. 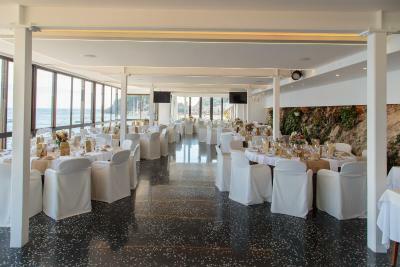 Tossa Castle and Faro de Tossa Lighthouse are 10 minutes’ walk away via the main seafront promenade, which is full of shops, bars and restaurants. 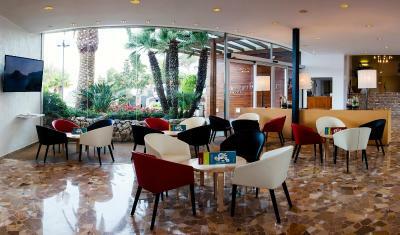 Girona Airport is 30 minutes’ drive from Gran Hotel Reymar. 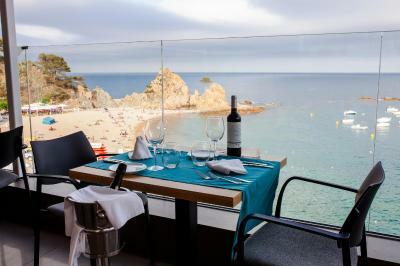 This is our guests' favorite part of Tossa de Mar, according to independent reviews. 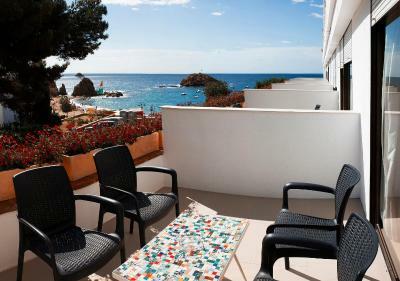 This property also has one of the top-rated locations in Tossa de Mar! Guests are happier about it compared to other properties in the area. 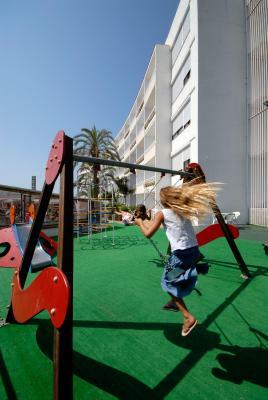 This property is also rated for the best value in Tossa de Mar! Guests are getting more for their money when compared to other properties in this city. 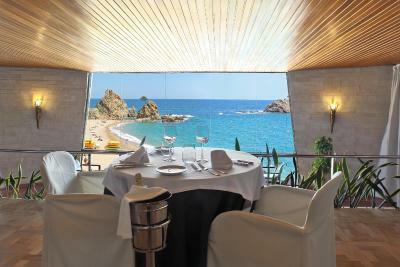 When would you like to stay at Gran Hotel Reymar & Spa Superior? This air-conditioned room features 2 single beds or one double bed. It includes satellite TV, a phone, minibar and a private bathroom with bathtub and shower. 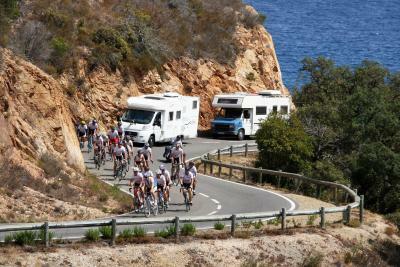 Private parking is available on site (reservation is not possible) and costs EUR 17 per day. This air-conditioned room features 2 single beds or one double bed. It includes satellite TV, a phone, minibar and a private bathroom with bathtub and shower. 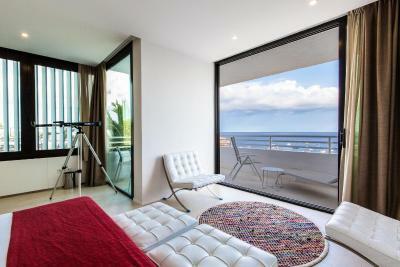 There is also a balcony that offers views of the Sea. This air-conditioned room features one single bed. It includes satellite TV, a phone, minibar and a private bathroom with bathtub and shower. 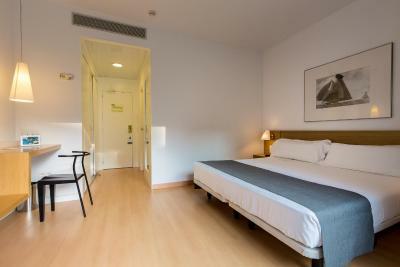 This air-conditioned room features 3 single beds or one double bed and one single bed. It includes satellite TV, a phone, minibar and a private bathroom with bathtub and shower. 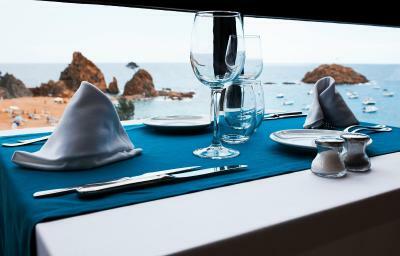 There is also a balcony that offers views of the Sea. This air-conditioned room features 3 single beds or one double bed and one single bed. It includes satellite TV, a phone, minibar and a private bathroom with bathtub and shower. This spacious, air-conditioned room has a terrace overlooking the garden. It comes with a satellite TV, mini-bar and a private bathroom with bathtub and shower. Featuring a terrace with sea views, this villa offers 1 suite with a private bathroom and access to a terrace, 2 twin rooms, a fully equipped kitchen, a living room and a dining area and a second bathroom. Guests have access to a shared swimming pool. 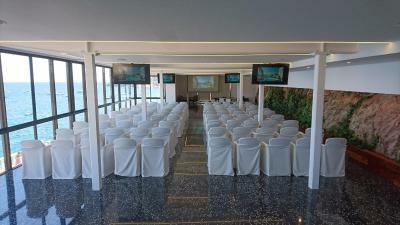 Guest can make use of some services offered by the hotel as well as the hotel facilities. Breakfast is not included in this room rate. This air-conditioned room features 1 king bed. It comes with satellite TV, a phone, mini-bar and a private bathroom with bathtub and shower. 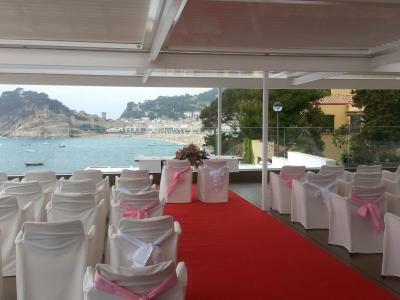 There is also a balcony that offers views of the sea, bay and the Tossa castle. 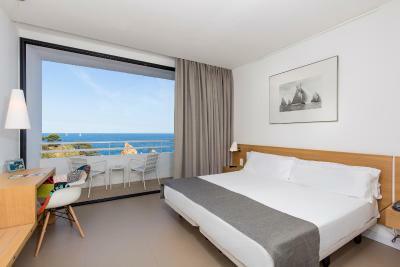 This quadruple room has a satellite TV, mini-bar, terrace with partial sea views and air conditioning. 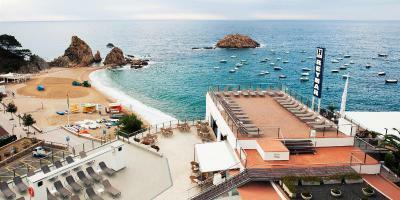 House Rules Gran Hotel Reymar & Spa Superior takes special requests – add in the next step! Gran Hotel Reymar &amp; Spa Superior accepts these cards and reserves the right to temporarily hold an amount prior to arrival. Gran Hotel Reymar & Spa Superior accepts these cards and reserves the right to temporarily hold an amount prior to arrival. 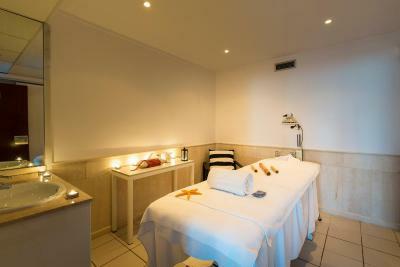 Please note, access to the spa has a cost of EUR 20 per person. (This fee is not mandatory, you only have to pay it if want to use the spa). One of the most picturesque neighborhoods in Tossa de Mar! Bed could be more comfortable. Decor of the rooms is a bit outdated. Otherwise excellent hotel and brilliant staff and i definetly reccomend the stay! WiFi a bit “iffy” at times. However we were not there to use our electronic equipment! Parking expensive. If not intending to travel around recommend getting transport to hotel from either Girona or Barcelona airports. 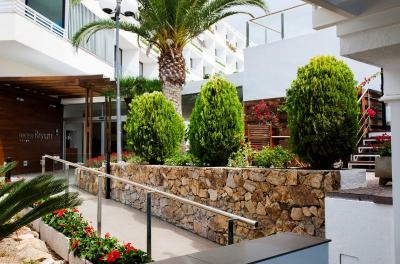 Everything, the staff at reception were terrific and our welcome 100% the restaurant and bar staff as well as housekeeping were all so Happy and helpful. The view from our room was superb and excellent. The beach had a life guard with crystal clear waters. 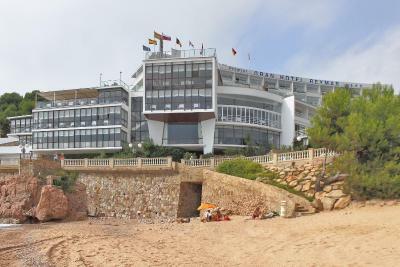 And the hotel was close to restaurants and lovely walks and so close to the beach. We ate at the restaurant at the hotel and the food was delicious. Our first room was too close to ground floor and pool/bar noise but our second room was fantastic. 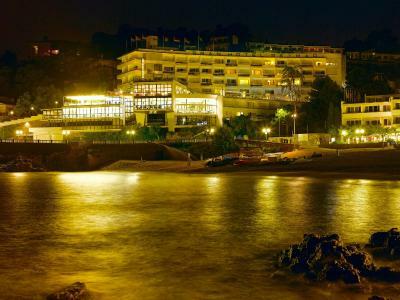 The hotel location overlooking the sea was fantastic. Jorge, property manager, called to see how everything was going once I settled in, and offered help whenever needed. The property was helpful when I couldn't figure out the lights (silly me, should have tried the wall card holder to check). The space was very comfortable, with both AC and balcony / airflow depending on which would be more comfortable. The staff was friendly at check in and check-out. 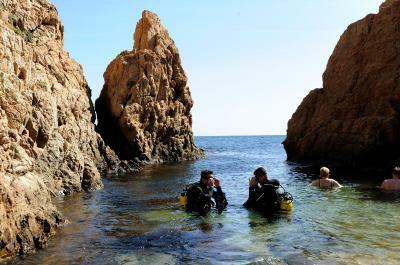 The area is very safe feeling, with plenty of restaurants and coastline to walk. Overall, great experience, would recommend and stay again. Our room was a noise in the morning, being close to the pool made it even noisier. Cleaning staff started cleaning the room upstairs early and made a lot of noise! Great location, accommodating staff, cool town. You need to pay an extra tourist tax for the Catalan goverment where as there isn´t any additional tax like that in Spain nor in Europe. 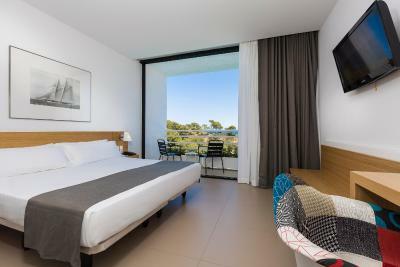 the quality of the room, how convinient it is if you want to have a bath in the beach and it also has a very nice swimming-pool. Room 505, WiFi is very poor. The location is wonderful and the stuff are perfectly nice. Highly recommend! 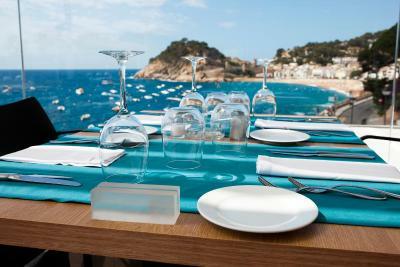 The restaurant is very beautiful! The hotel is bravo!